April 22 marks the celebration of Earth Day! It is a day where people around the world take a closer look at protecting our environment and appreciating the world we live in. 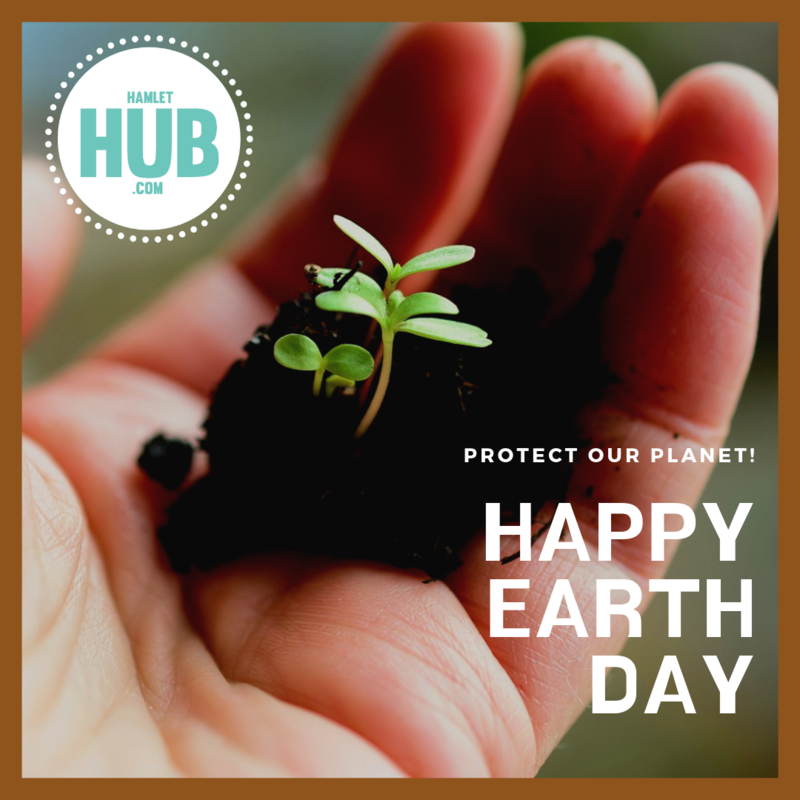 Earth Day Network works year-round on projects, programs, and campaigns that support environmental conservation, environmental protection, climate activism and advocacy, and advancing the green economy. Our education work focuses on efforts to green schools — from energy efficiency upgrades to improving school food — and supporting educators with resources to teach and inspire the next generation of environmental leaders. Our conservation and greening efforts include planting trees to reforest environmentally critical areas of the globe and increase the urban tree canopy, and protecting clean air and water. Our advocacy efforts focus on engaging local leaders and global citizens of all ages and from all walks of life with campaigns: to end plastic pollution, to protect our species, to act on climate and advance clean energy, and more. 2020 marks the 50th anniversary of Earth Day. In honor of this milestone, Earth Day Network is launching an ambitious set of goals to shape the future of 21st century environmentalism. Learn more here. Summer Graff, of Brookfield, CT, a student at Fairleigh Dickinson University's Florham Campus, located in Madison, NJ has been named to the Dean's List for the Fall 2018 semester. To qualify for the Dean's List, a student must carry a 3.2 or better grade point average out of a possible 4.0 and be enrolled in a minimum of 12 letter-graded hours (four courses). FDU's Florham Campus is located on the former Vanderbilt-Twombly estate in suburban Morris County. Its focus is on providing outstanding on-campus and residential living opportunities, hands-on-learning experiences, strong graduate and professional school preparation, and customized educational options, all framed by a global perspective. Devoted to the preparation of world citizens through global education, Fairleigh Dickinson University is New Jersey's largest private university and features more than 100 liberal arts and professional degree programs, two international campuses, dozens of partnerships with internationally renowned institutions and special programs and status within the United Nations. 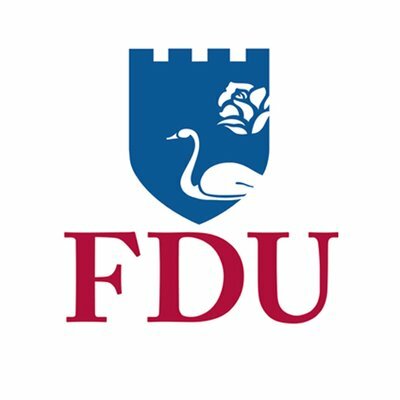 For more information, go to www.fdu.edu. 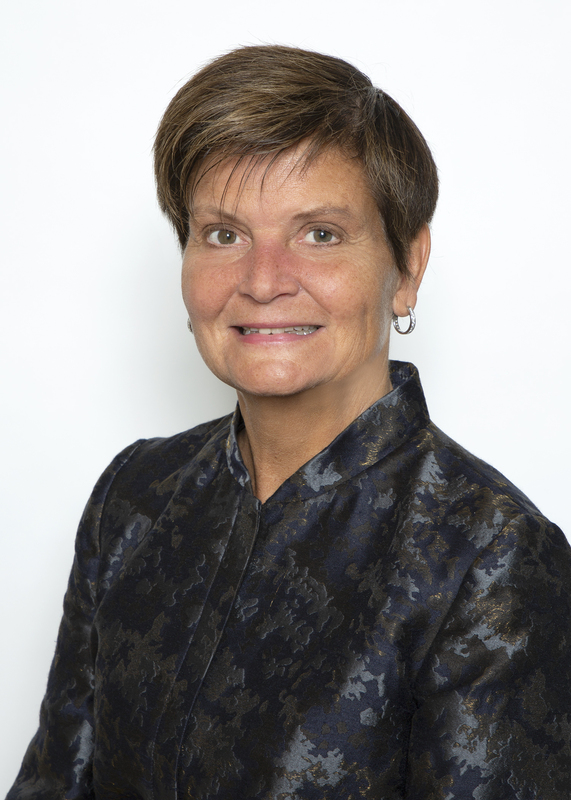 Western Connecticut Health Network (WCHN) announced the appointment of Margo Shoup, MD, FACS as the new network chair of the cancer service line. Dr. Shoup will provide strategic and clinical leadership for all aspects of WCHN’s cancer services, including medical oncology and subspecialty practices. In her role as network chair, Dr. Shoup will oversee the integration of cancer services, especially as WCHN forms a new, unified innovative health system with Health Quest, to be called Nuvance Health. Cancer services include diagnostic imaging, genetic counseling, medical oncology, radiation therapy, surgical oncology, research and clinical trials, and support services. Dr. Shoup will also develop multidisciplinary disease management teams. Specialists and services dedicated to specific types of cancer will wrap around patients. Patients will have the most advanced and expert diagnoses, treatments, and care plans delivered expeditiously and conveniently in the same health network. Dr. Shoup will also manage the first-of-its-kind cancer care collaboration with Memorial Sloan Kettering Cancer Center (MSK) that successfully launched at Norwalk Hospital in 2017. 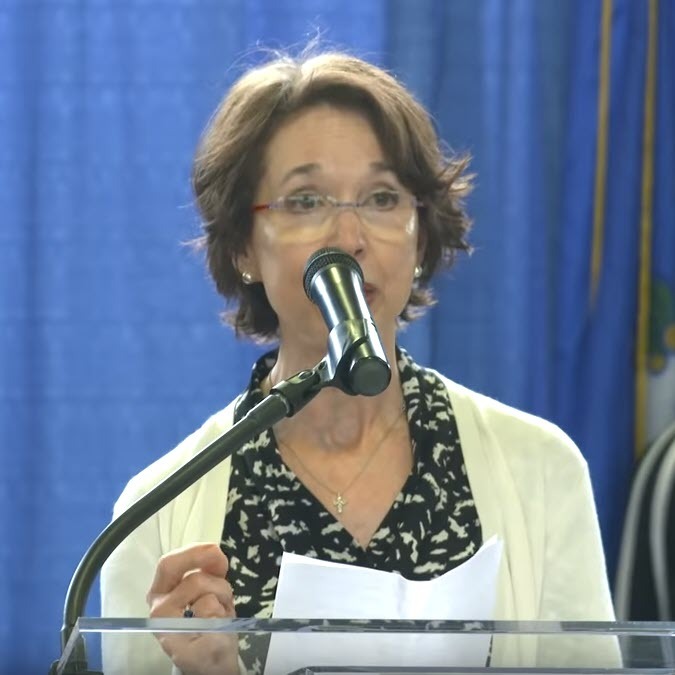 The aim of the unique collaboration is to accelerate access to the newest cancer treatments for residents of Fairfield County, Connecticut. To learn more about MSK physicians at Norwalk Hospital visit MSKatNorwalk.org. “I was eager to join WCHN because of the quality physicians and care teams here, who all have great ideas and are so vested in caring for their patients. Through my role, I intend to facilitate implementing these ideas for the better health of our patients,” said Dr. Shoup. Dr. Shoup is a nationally recognized surgical oncologist with expertise in gastrointestinal cancers. She joins WCHN from Chicago, IL where she was the medical leader of cancer services for Northwestern Medicine Cancer Centers, West Region, and the director of surgical oncology for Northwestern Medicine Regional Medical Group. Under Dr. Shoup’s leadership, quality measures moved from the second or third quartile to the top decile, and patient satisfaction scores improved from the 35th percentile to the 99th across the cancer program. Dr. Shoup was also a professor of surgery at Northwestern University, Feinberg School of Medicine. Dr. Shoup currently serves as president of the Central Surgical Association, and treasurer of the Western Surgical Association. She is also a member of the Society for Surgical Oncology, the Society of University Surgeons, and the Southern Surgical Association. From 2012 to 2018, she was a director of the American Board of Surgery, as the representative for the American College of Surgeons. Dr. Shoup received her medical degree from Northwestern University, Feinberg School of Medicine. She completed her general surgery residency and research fellowship at Loyola University in Maywood, IL where she was also the chief administrative resident for the department of surgery. She then completed her surgical oncology fellowship at MSK in New York, NY. 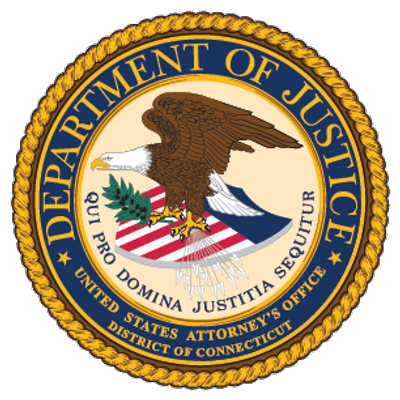 John H. Durham, United States Attorney for the District of Connecticut, announced that the U.S. Attorney’s Office will issue a Letter of Resolution to Hacienda Don Manuel Restaurant in Brookfield to resolve allegations that the restaurant was not operating in compliance with the Americans with Disabilities Act of 1990 (“ADA”). The Letter of Resolution will resolve an ADA complaint filed by an individual with mobility disabilities alleging that Hacienda Don Manuel’s bar counter was not accessible to individuals in wheelchairs and that Hacienda Don Manuel would not provide “Happy Hour” services to individuals in wheelchairs sitting at tables in the restaurant. In order for the U.S. Attorney’s Office to issue the Letter of Resolution, Hacienda Don Manuel will design and construct a fully accessible bar counter with a low section for individuals who use wheelchairs. Additionally, Hacienda Don Manuel will institute a written policy regarding the provision of Happy Hour specials to individuals with disabilities who may need to sit at tables within the restaurant. Finally, Hacienda Don Manuel will train managers, bartenders and staff on the new policy and on the provision of services to individuals with disabilities. Hacienda Don Manuel will perform these obligations within six months. Under federal law, private entities that own or operate places of “public accommodation,” including restaurants, are prohibited from discriminating on the basis of disability. The ADA authorizes the U.S. Department of Justice to investigate complaints and undertake periodic reviews of compliance of covered entities. The Justice Department is also authorized to commence a civil lawsuit in federal court in any case that involves a pattern or practice of discrimination or that raises issues of general public importance, and to seek injunctive relief, monetary damages and civil penalties. Any member of the public who wishes to file a complaint alleging that any place of public accommodation or public entity in Connecticut is not accessible to persons with disabilities may contact the U.S. Attorney’s Office at 203-821-3700. Additional information about the ADA can be found at www.ada.gov, or by calling the Justice Department’s toll-free information line at (800) 514-0301 and (800) 514-0383 (TTY). More information about the Civil Rights Division and the laws it enforces is available at www.justice.gov/crt. This matter was handled by Assistant U.S. Attorney Jessica H. Soufer of the District of Connecticut in coordination with the Disability Rights Section of the U.S. Department of Justice Civil Rights Division. Jennifer DiBella of Brookfield, Connecticut, was recently initiated into The Honor Society of Phi Kappa Phi, the nation's oldest and most selective all-discipline collegiate honor society. DiBella was initiated at Fordham University. DiBella is among approximately 30,000 students, faculty, professional staff and alumni to be initiated into Phi Kappa Phi each year. Membership is by invitation only and requires nomination and approval by a chapter. Only the top 10 percent of seniors and 7.5 percent of juniors are eligible for membership. Graduate students in the top 10 percent of the number of candidates for graduate degrees may also qualify, as do faculty, professional staff and alumni who have achieved scholarly distinction. Phi Kappa Phi was founded in 1897 under the leadership of undergraduate student Marcus L. Urann who had a desire to create a different kind of honor society: one that recognized excellence in all academic disciplines. Today, the Society has chapters on more than 300 campuses in the United States and the Philippines. Its mission is "To recognize and promote academic excellence in all fields of higher education and to engage the community of scholars in service to others." 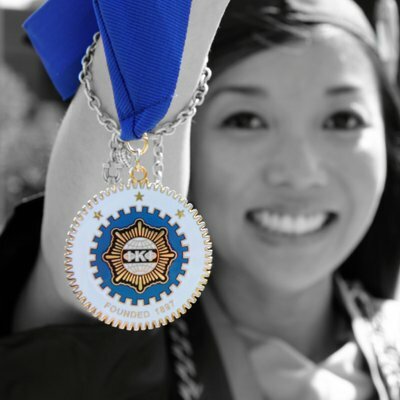 Since its founding, more than 1.5 million members have been initiated into Phi Kappa Phi. Some of the organization's notable members include former President Jimmy Carter, NASA astronaut Wendy Lawrence, novelist John Grisham and YouTube co-founder Chad Hurley. Each year, Phi Kappa Phi awards nearly $1 million to outstanding students and members through graduate and dissertation fellowships, undergraduate study abroad grants, funding for post-baccalaureate development, and grants for local, national and international literacy initiatives. For more information about Phi Kappa Phi, visit www.phikappaphi.org. Today is the DAY! 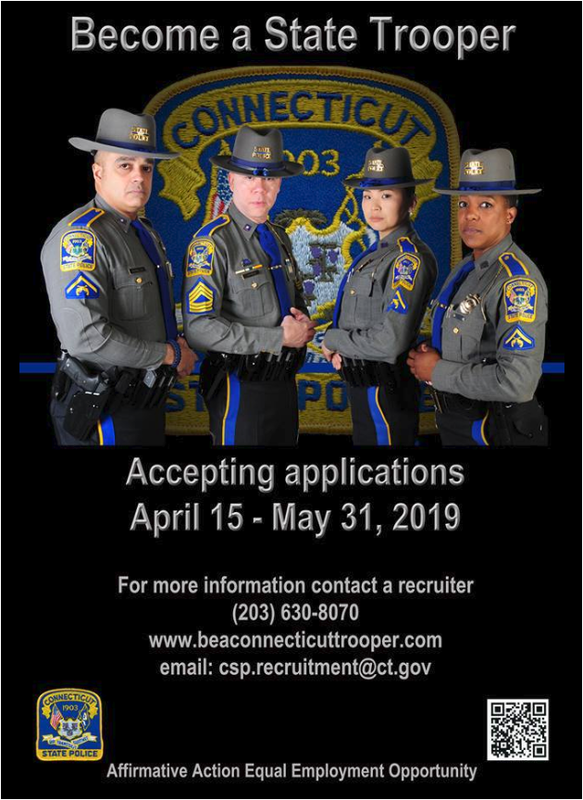 The Connecticut State Police is accepting applications for the position of State Police Trooper Trainee. Applications will be accepted until May 31, 2019. The State of Connecticut, Department of Emergency Services and Public Protection, Division of State Police is currently accepting applications to establish a pool of qualified applicants to fill future vacant State Police Trooper Trainee positions across the State. The Connecticut State Police offers numerous Career Opportunities across our beautiful State, with opportunities for promotional advancement and geographic transfers. Adding to the attractive locations and upward mobility are excellent Compensation and Benefits including a full Health Benefitspackage, along with additional Supplemental Benefits and a 25 year Hazardous Duty retirement. Physical Fitness Assessment: Candidates must take and pass a Physical Fitness Assessment that measures muscular strength, cardiovascular endurance and flexibility. Valid CHIP cards will be accepted prior to the CT State Police Physical Ability Test, tentatively scheduled for August. To register, please follow the instructions on the CHIP Test Schedule. Polygraph Examination: Inquiries concerning employment history; driving history; medical history; financial history; gambling history; illegal possession, use and sale of drugs/narcotics; criminal activity; military history; illegal sexual activity; use of alcohol; general personal data; prior conduct in police/security/corrections fields; subversive, revolutionary or gang activity; basic honesty and integrity. Background Investigation: Comprehensive review of employment, education, training, criminal, motor vehicle and credit history. Psychological Evaluation: Combination of written tests and interviews to assess suitability for employment in law enforcement. Medical Evaluation: Comprehensive physical examination, including drug screening. Operational needs of the agency will weigh heavily on the initial assignment of hired Troopers. However, we work with our staff to identify locations that are geographically compatible to their desired location. The agency seeks trustworthy, motivated, driven individuals who are able to work well on their own as well as in a team environment. We strive to provide superior Public Safety Services for Connecticut and achieve them through our Mission. DESPP is committed to protecting and improving the quality of life for all by providing a broad range of public safety services, training, regulatory guidance and scientific services utilizing enforcement, prevention, education and state of the art science and technology. Professionalism through an elite and diverse team of trained men and women. Respect for ourselves and others through our words and actions. Integrity through adherence to standards and values that merit public trust. Dedication to our colleagues, our values, and to the service of others. Equality through fair and unprejudiced application of the law. To learn more about what it takes to become a Connecticut State Police Troopers, please view the video below and visit www.beaconnecticuttrooper.com. 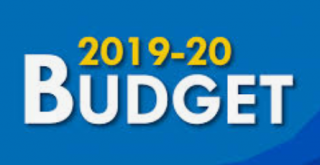 The Town of Brookfield will hold their Annual Town Meeting on Tuesday, May 7 at 7:00 p.m. at the BHS Auditorium to discuss FY2020 Town and School Budget. Please click on the links below for additional information. Come join the Brookfield Conservation Commission and Brookfield Parks and Rec for a variety of Earth-friendly and family-friendly activities. Get your hands dirty and help plant a tree on the grounds of the Town Hall to replace those lost in last year’s storm. Plant seeds to take home. Take home a free sapling to plant on your own. Help clean-up the Kid’s Kingdom area. Be a part of giving back to the Earth and your community. This community event is sponsored by Brookfield Conservation Commission & Brookfield Parks and Rec. The Bandstand, Brookfield Town Hall, 100 Pocono Road, Brookfield. Rory Collins of Brookfield presented the results of their environmental studies capstone project titled, "Extending and Improving Connectivity Along the Androscoggin Greenway Trail Project". Collins, the child of Mr. and Mrs. Michael G. Collins of Brookfield, Conn., and a 2015 graduate of Brookfield High School, worked with two other students, Sarah Delany of Chicago, Ill., and Danielle Ward of Atlantic Highlands, N.J., on the project. As part of their environmental studies major, Collins, completed courses in natural sciences, social sciences, and humanities in addition to a 200-hour internship and the community-engaged capstone course in which groups of students pair with a community organization to bring scientific and other types of expertise to a specific project that addresses a community-identified need. Bates' environmental studies program is a national model for building civic engagement into academic programs. Darby Ray, director of the Harward Center for Community Partnerships, said, "The Bates environmental studies program exemplifies the high impact of community-engaged learning. The program weaves public engagement into the fabric of the major, producing valuable outcomes not only for the students, but also for the off-campus community partners with whom they collaborate." Located in Lewiston, Maine, Bates is internationally recognized as a leading college of the liberal arts, attracting 2,000 students from across the U.S. and around the world. Since 1855, Bates has been dedicated to educating the whole person through creative and rigorous scholarship in a collaborative residential community. With a commitment to affordability, Bates has always admitted students without regard to gender, race, religion or national origin. Cultivating intellectual discovery and informed civic action, Bates prepares leaders sustained by a love of learning and zeal for responsible stewardship of the wider world. Today, Founders Hall announced the return of Battle of Chefs, their marquee culinary event held annually in June. Now in its 7th year, the event will take place on Sunday, June 2 from 4 – 7 PM at Founders Hall. The format of this year’s event will be a first of its kind: six chefs who’ve competed at the event in the past have been paired up in a random drawing. The dueling duos will compete in a fast-paced cooking showdown. Appetizer: Each duo will prepare an appetizer that must incorporate a required ingredient. Guests will be focused on tasting each appetizer and will then vote for their favorite. The judges will also taste the appetizers and select their favorite. This portion takes place inside and will feature tasting stations and passed appetizers. Entrée: Next, we move outdoors. During this phase, the chef teams will be cooking al fresco in individual outdoor kitchens while guests watch all the action! Each duo will be given a basket of four secret ingredients and will have 60 minutes to complete a cohesive entrée featuring all four ingredients. The will also have access to a well-stocked fridge and pantry. Completed entrees will be presented to the judges. Dessert: Last, guests will move back indoors to enjoy desserts prepared by the chef teams. Judging: Over dessert and refreshments, guests will hear comments from the panel of judges and the results will be announced. A total of 80 points can awarded to each team in the categories of taste, presentation and the use of the secret ingredients. One third of the final scores comes from the appetizer round and two thirds from the entrée round. Throughout the event, guests will have access to an open bar and will be served a plethora of passed savory and sweet eats – many of which include the secret ingredients from both the appetizer and entrée rounds of the competition. Local vendors will be offering food/drink samples to guests and there will be live music for all to enjoy. Proceeds from the event will benefit Founders Hall, a donor-supported education and recreation center for people age 60+. The event is being sponsored by Fairfield County Bank and The Chefs Warehouse. Media Partners include HamletHub and Edible Nutmeg. To learn more and to order tickets, please click HERE. ABOUT FOUNDERS HALL: Founders Hall, a donor-supported education and recreation center for people age 60 and older, is located at 193 Danbury Road. For more information, call 203.431.7000, email Founderhall@founders-hall.org or visit founders-hall.org. (HARTFORD, CT) – Ray and Barbara Dalio of Dalio Philanthropies today joined Connecticut Governor Ned Lamont, First Lady Annie Lamont, leaders in the General Assembly, students and other stakeholders to announce the launch of a partnership strengthening public education and promoting greater economic opportunity in Connecticut. Through Connecticut’s leadership and the support of Dalio Philanthropies, the partnership seeks to raise $300 million over five years: $100 million from the State of Connecticut that will be matched by $100 million from Dalio Philanthropies and another $100 million from other philanthropists and business leaders. A video of the announcement is available here. The $100 million from Dalio Philanthropies is the largest known philanthropic donation to benefit the state in Connecticut’s history. The partnership will benefit residents of Connecticut’s under-resourced communities, with a specific focus on communities where there is both a high poverty rate and a high concentration of youth (14-24) who are showing signs of disengagement or disconnection from high school. Employers across the state are looking to hire skilled workers in historic and emerging industries. Likely form an independent organization to leverage community expertise and administer resources with representation from Dalio Philanthropies, and the legislative and executive branches. Given this unprecedented opportunity to leverage a 2-to-1 match, the governor is proposing to appropriate the first contribution from the projected surplus this year. The state match for future years of the five-year commitment will be discussed with the legislature before developing final budgets. To promote greater economic opportunity, the partnership will support and encourage microfinance and community entrepreneurship initiatives. For example, the partnership might explore funding entrepreneurs with small loans and early stage equity capital and providing non-financial supports such as mentorship and access to networks to help individuals start their own businesses in under-resourced communities so that they can create opportunities for their families and fellow citizens. To strengthen public education, the partnership will engage non-profit organizations, high schools, higher education, and employers to connect young people to upwardly-mobile jobs. Public education and workforce development programs will include an integrated focus on youth development and wraparound programming to give youth the holistic supports they need to succeed. This could include collaborative endeavors to support educators and schools in individualizing interventions for each student, particularly at moments of transition, as well as programming to reach disconnected youth by providing the supports they need to get back in school and/or connect to the workforce. Dalio Philanthropies furthers the Dalio family’s diverse philanthropic passions, which include strengthening public education in Connecticut, financial inclusion and social entrepreneurship. Dalio Philanthropies has invested more than $50 million in the state’s public school districts, nonprofit organizations, and communities over the past four years alone. Dalio Philanthropies’ support for financial inclusion efforts total over $72 million to date. To learn more, visit www.daliophilanthropies.org. Troop 5 of Brookfield has begun accepting orders for its annual mulch sale fundraiser. Brookfield residents can place mulch orders by visiting the troop’s website www.brookfieldtroop5.org. The deadline to place orders is Wednesday, April 24th. Scouts will deliver orders the first weekend in May and for an additional donation per bag customers can request that the scouts spread the mulch on their property. Participation in this fundraiser provides scouts with valuable learning opportunities. Through in person and online sales, delivery of orders and mulch spreading the scouts learn to set goals, develop selling techniques and interact with their customers. Funds raised assist the troop in purchasing needed supplies to run the program as well as helping Scouts pay for summer camp experiences. The troop’s goal is to sell between 3000 and 3500 bags of mulch this year. Troop 5 is comprised of 39 local boys age 11-17. 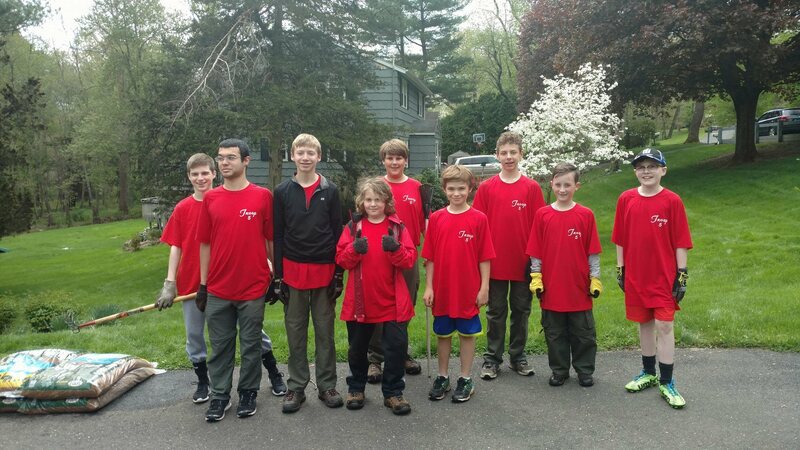 Service to the community is a central part of the Scouting program and Troop 5 Scouts participate in service projects throughout the year including Fall clean up, trail clean up, Memorial Day flag placement at local cemeteries and more. The mission of the Boy Scouts of America is to prepare young people to make ethical and moral choices over their lifetime by instilling in them the values of the Scout Oath and Law. 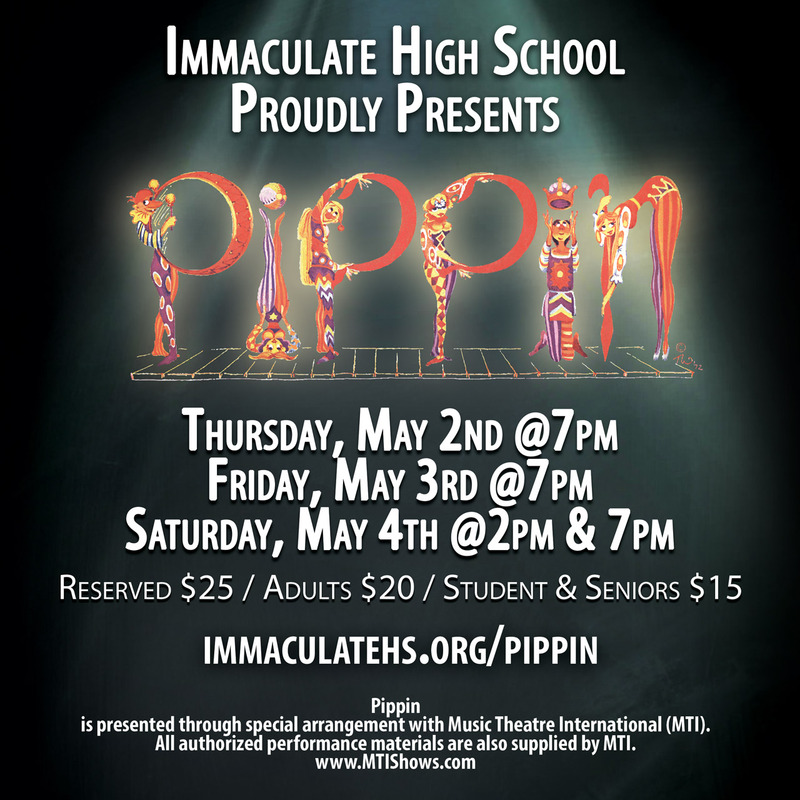 Immaculate High School will present “PIPPIN” on Thursday through Saturday, May 2, 3 & 4 at 7pm with a 2pm matinee on Saturday. The musical features a cast of 48 students in the story of a young man on a quest for the meaning of life. Immaculate’s production of “PIPPIN” is an original concept version of the 1972 musical; it takes place in the mind of Pippin and will feature two Leading Players (instead of one), who serve as his consciences, one a good influencer, one bad. Brookfield residents Sarah Almeida and Matthew Christe will star in the production. Immaculate's musical this year promises to be like no other high school production as it will be performed in the round, meaning the stage will be in the middle of the gymnasium and the audience will surround it on all four sides. The Spring Musical is reimagined and directed by Matt Farina and produced by Kathleen Czel. Tickets go on sale April 13. Premium seating is also available; go to www.immaculatehs.org/pippin to view pricing, order tickets and/or become a sponsor. Health Quest and Western Connecticut Health Network (WCHN) have combined to form a new nonprofit health system. The name for the new health system will be Nuvance Health (pronounced NEW-vance). The new health system was created to provide communities across New York’s Hudson Valley and western Connecticut with more convenient, accessible and affordable care. 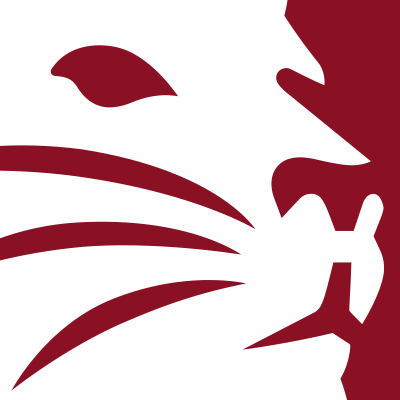 The 2019 Housatonic Book Awards, hosted by the Western Connecticut State University Master of Fine Arts in Creative and Professional Writing program, are now open for submissions. The contest seeks authors and poets to submit their work published in 2018. Awards include a $1,000 honorarium with an additional $500 travel stipend in exchange for the opportunity to lead a one-day, three-hour writing workshop for M.F.A. in Creative and Professional Writing students. Winners also will give a public reading during students' weeklong residency at WCSU. Genres accepted include fiction, poetry, nonfiction (and all subgenres), middle grade and young adult literature. Winners for nonfiction, middle grade or young adult will appear at the M.F.A. program's August residency. 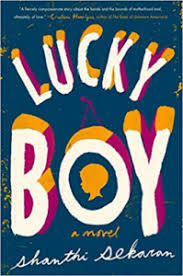 Winners in fiction and poetry will appear at the January residency. The submission fee is $25. The application deadline is Friday, June 14. Contestants can review detailed submission guidelines online at the Housatonic Book Awards website: https://housatonicbookawards.wordpress.com/guidelines/. Submit work online using the electronic submission portal: https://alumni.wcsu.edu/housatonic-book-awards. Snail-mail submissions can be sent to: Housatonic Book Awards, WCSU Writing Dept., White Hall 314, 181 White St., Danbury, CT 06810.